A twice-divorced Wall Street broker who once claimed to be able to commune with the dead, Victoria Woodhull also made history by being the first woman to appear on a U.S. presidential ballot. And she did it all the way back in 1872. Victoria Woodhull was born Victoria California Claflin in rural Ohio in 1838. Her father, described as “a one-eyed snake oil salesman,” sold magical-sounding (if often useless) elixirs that became popular in the mid-1800s, claiming they could cure anything from asthma to cancer. When Woodhull was still a child, her father put her to work along with her sister, Tennessee, as a medium and fortune-teller. 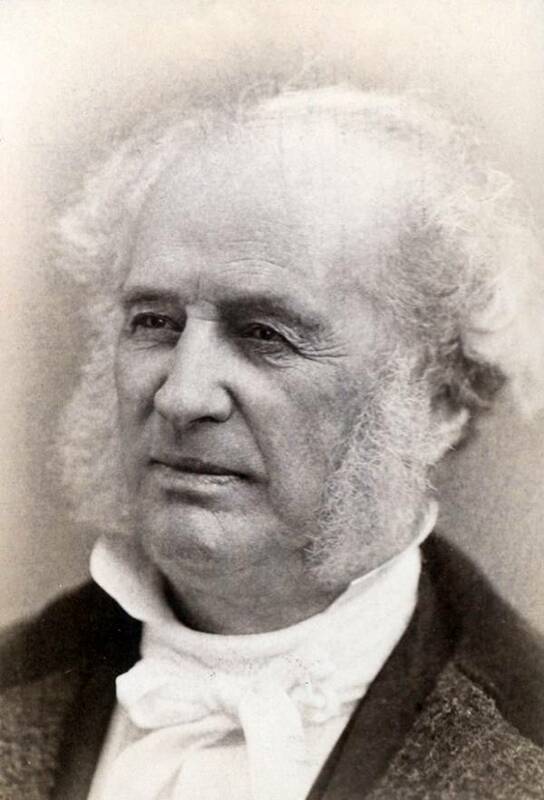 The sisters hit the fortune-telling jackpot in 1868 when they became employed as clairvoyants by railroad magnate Cornelius Vanderbilt, who was supposedly not only impressed by their skills, but also in love with Tennessee. With Vanderbilt’s backing, the two sisters went from being traveling fortune-tellers to Wall Street stockbrokers, opening Woodhull, Claflin & Co. in 1870, the first brokerage firm headed by women. The New York Sun announced the firm’s opening with the headline “Petticoats Among the Bovine and Ursine Animals” and the sisters did quite well by taking advantage of a hitherto “untapped source of investment capital,” namely women. Widows, teachers, actresses, and even prostitutes and madams came to the firm (which featured a “women-only” backroom for private discussions) with their savings and the sisters were then able to not only afford an expensive Manhattan apartment, but also bankroll their political aspirations. 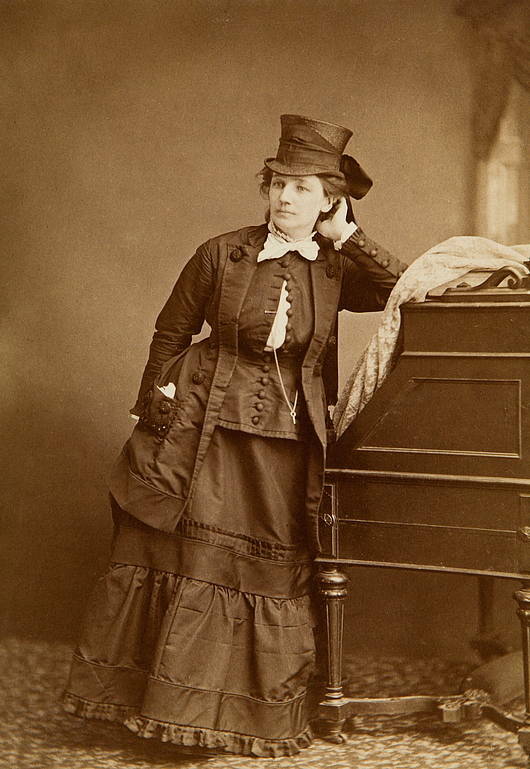 Victoria Woodhull had first become interested in the idea of women’s rights when married to her second husband (although she kept the name of her first husband, Canning Woodhull, for the rest of her life, she had divorced him in the 1850s). Husband number two, Colonel James Blood, was a Civil War veteran and self-described “free lover” who encouraged Woodhull’s interest in women’s rights after they wed in 1866. 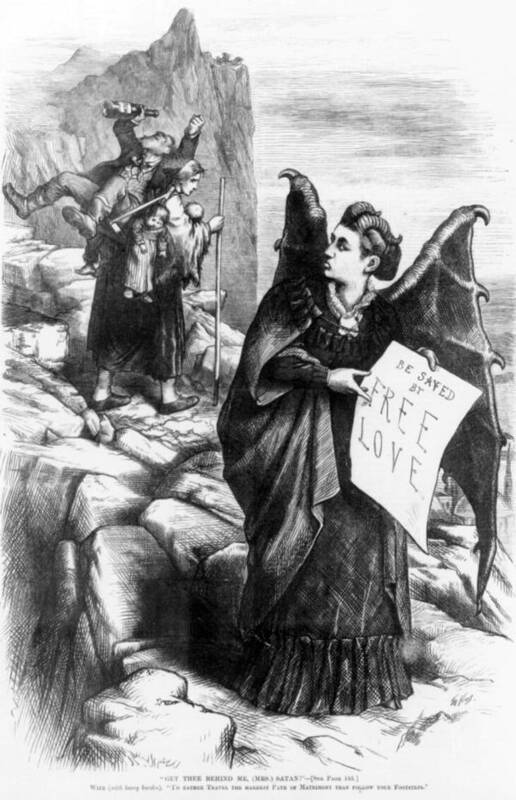 For Woodhull, “free love” was more about women’s “rights to marry, divorce, and bear children without government interference,” rather than the ideas espoused by the sexual revolution of the 1960s and 1970s that have since become associated with the term. Beyond such ideas, Woodhull took another bold stance when she became the first woman to testify before a Congressional committee upon her appearance in support of women’s suffrage with the House Judiciary Committee in 1871. Not only did she appear before the committee, she argued that the recently-passed 14th and 15th amendments also granted women the rights to vote (which, sadly, wouldn’t become a reality for some five decades). Although she would not be able to actually vote for herself, in 1870 Woodhull declared she was going to run for president. Her campaign was financed by the money that she and her sister had made on Wall Street and she was nominated for president by the Equal Rights Party (which she had helped organize) in 1872. Woodhull would be running against the incumbent President Ulysses S. Grant. For her running mate, she chose famed abolitionist Frederick Douglass, which would have made quite a statement, had he ever actually acknowledged his selection (he actually campaigned for Grant). A cartoon portraying Victoria Woodhull as “Mrs. Satan” and ridiculing her “free love” platform. 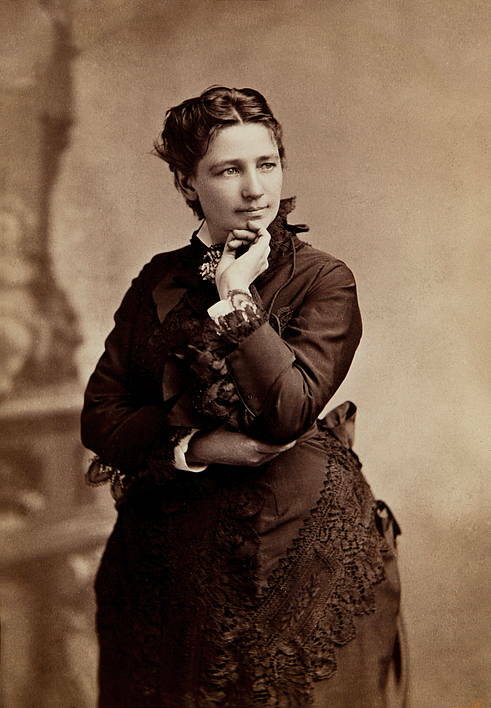 Victoria Woodhull thus became the first woman to appear on a presidential ballot. However, due to the fact that her name was removed from many ballots because the Equal Rights Party Candidate was actually in jail on Election Day (on charges of libel that were later dismissed), it is unknown how many popular votes America’s first female presidential candidate actually received. Furthermore, some have argued the legitimacy of her candidacy in the first place, given that she was 34 at the time, one year below the Constitutionally-mandated age threshold. Partly due to the mounting pressure against her, Woodhull divorced Colonel Blood in 1876, shortly before moving to London, where she met her third and final husband, John Biddulph Martin. Ultimately, Victoria Woodhull died in England in 1927, seven years after the 19th Amendment granted women in the United States the right to vote, but nearly a century before the first serious female contender for the nation’s highest office appeared on a ballot.